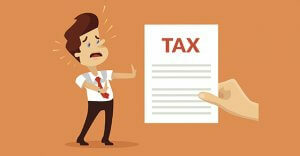 Tax filing season is upon us. After year-end, it’s generally too late to take action to reduce 2018 taxes. Business owners need to plan accordingly and assess whether they’ll likely owe taxes or get a refund when they file their returns. With the biggest tax law changes in decades generally going into effect beginning in 2018, most businesses and their owners will be significantly impacted. So, refreshing yourself on the major changes is a good idea. Keep in mind that additional rules and limits apply to the information covered here. Also, these are only some of the most significant and widely applicable TCJA changes; you and your business could be affected by other changes as well. Contact us to learn precisely how you might be affected and for help preparing for your 2018 tax return filing — and beginning to plan for 2019, too. How Old is Your Business Plan? Where Did My Tax Deductions Go?